Give the regular fashion of your daughter a flight of fancy by making her wear these shorts from The Children Place. They comes with a solid pattern which mark their design quite distinctive. Crafted from a good quality fabric, they further promises to offer optimum comfort. 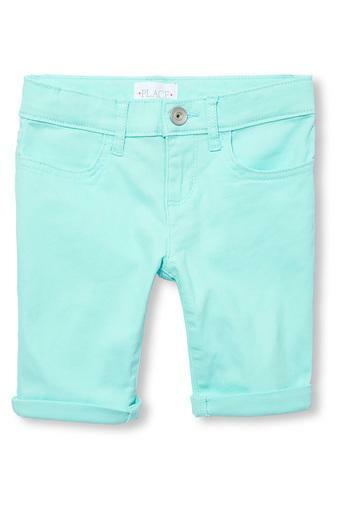 Make a fine addition to the closet of your little one with these shorts. They can be combined with a top and a pair of ballerinas for any casual occasion.